Search Results for "animated cookie"
Twas the night before Christmas, animated scrolling text and moving lights over a festive gingerbread man cookie for Santa. Animated heavy rain or falling in slow motion a lot of Halloween white and red and yellow or chocolate cone candies from front view. Transparent background, alpha channel embedded with PNG file. Animated heavy rain or falling in slow motion a lot of Halloween white and red and yellow cone candies from high angle view. Black background, mask included. Animated dancing or exploding a lot of Halloween white and red and yellow or chocolate cone candies. Transparent background, alpha channel embedded with PNG file. Animated rotating around pile of fallen Halloween white and red and yellow cone candies laying on white background or base from top view..
Purim holiday flat design animation background with traditional symbols with text in hebrew "Purim Sameach" meaning "Happy Purim". loop with alpha channel. 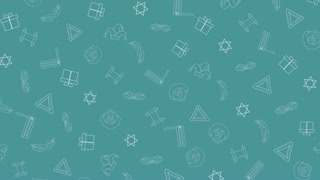 Purim holiday flat design animation background with traditional outline icon symbols. loop with alpha channel. Purim holiday flat design animation background with traditional symbols with text in english "Happy Purim". loop with alpha channel. Purim holiday flat design animation background with traditional outline icon symbols with text in english "Happy Purim". loop with alpha channel. Purim holiday flat design animation background with traditional outline icon symbols with text in hebrew "Purim Sameach" meaning "Happy Purim". loop with alpha channel. Animated dripping a lot of honey from all caps text Pouring Raw Honey. Liquid is dripping in room temperature from three dimensional letters against transparent background, alpha channel embedded with PNG file. Animated dripping a lot of melted chocolate from all caps text heart. Liquid is dripping from three dimensional letters against transparent background, alpha channel embedded with PNG file. Animated dripping a lot of honey from all caps text Natural Honey. Liquid is dripping in room temperature from three dimensional letters against transparent background, alpha channel embedded with PNG file. Animated dripping a lot of honey from all caps text Natural. Liquid is dripping in room temperature from three dimensional letters against transparent background, alpha channel embedded with PNG file. Animated dripping a lot of honey from all caps text Organic. Liquid is dripping in room temperature from three dimensional letters against transparent background, alpha channel embedded with PNG file. Animated dripping a lot of melted chocolate from all caps text Pouring Chocolate Milk. Liquid is dripping from three dimensional letters against transparent background, alpha channel embedded with PNG file. Animated dripping a lot of melted chocolate from all caps text Pouring Hot Chocolate. Liquid is dripping from three dimensional letters against transparent background, alpha channel embedded with PNG file. Animated dripping a lot of honey from all caps text Dripping Honey. Liquid is dripping in room temperature from three dimensional letters against transparent background, alpha channel embedded with PNG file. Animated dripping a lot of melted chocolate from all caps text Chocolate Milk. Liquid is dripping from three dimensional letters against transparent background, alpha channel embedded with PNG file. Animated dripping a lot of melted chocolate from all caps text Chocolate. Liquid is dripping from three dimensional letters against transparent background, alpha channel embedded with PNG file. Animated dripping a lot of melted chocolate from all caps text Pouring Chocolate. Liquid is dripping from three dimensional letters against transparent background, alpha channel embedded with PNG file. Animated dripping a lot of melted chocolate from all caps text Hot Chocolate. Liquid is dripping from three dimensional letters against transparent background, alpha channel embedded with PNG file. Animated close up view of chocolate milk pouring and splashing into large round stainless steel container and overflowing it. Transparent background, alpha channel embedded with PNG file. Animated front view of chocolate milk pouring and splashing into large round stainless steel container and overflowing it. Transparent background, alpha channel embedded with PNG file. 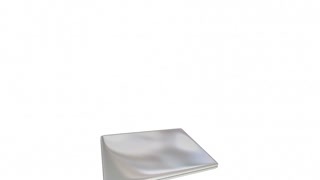 Animated fish-eye or wide angle view from inside of stainless steel container and of chocolate milk or melted chocolate pouring and splashing into it. Transparent background, alpha channel embedded with PNG file. Animated high angle and close up view of chocolate milk pouring and splashing into large round stainless steel container and overflowing it. Animated heavy rain or falling in slow motion a lot of Halloween white and red and yellow or chocolate cone candies from high angle view. Black background, mask included. Animated rotating around pile of fallen Halloween white and red and yellow or chocolate sugar cone candies laying on white background or base. Animated dancing or exploding in slow motion many Halloween white and red and yellow cone candies. Transparent background, alpha channel embedded with PNG file. Animated zooming out from close up of pile of fallen Halloween white and red and yellow or chocolate sugar cone candies laying on white background or base. Animated zooming out from close up of pile of fallen Halloween white and red and yellow cone candies laying on white background or base. Animated high angle view of close up of Halloween white and red and yellow sugar cone candies falling onto white base bouncing and tumbling into pile. Animated top view of close up of Halloween white and red and yellow sugar cone candies falling onto white base bouncing and tumbling into pile. 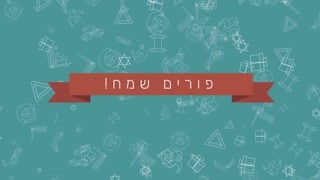 Purim holiday greeting animation with text in hebrew Purim Sameach" meaning Purim Hanukkah" and hamantash icon. flat design loop. Purim holiday flat design animation icon set with traditional symbols. loop with alpha channel. Purim holiday flat design animation background with traditional symbols. 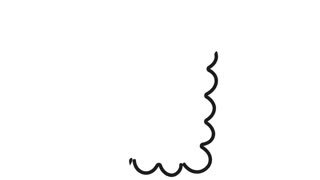 loop with alpha channel. Endorphins animated word cloud, text design animation. Kinetic typography.